Do you need some smooth athletic pants to compliment your casual wardrobe? Try out the Charles River Apparel 9661 Men’s Rev Athletic Pants, available in Black and Navy. These warmup pants match several of our Charles River Apparel tops. SKU: N/A Categories: Basketball Warmups, Men's Basketball Warmups, Men's Clothing, Men's Activewear Clothing, Athletic Pants Tags: Athletic Pants, Men's Athletic Pants, Men's Warmup Pants Brands: Charles River Apparel. 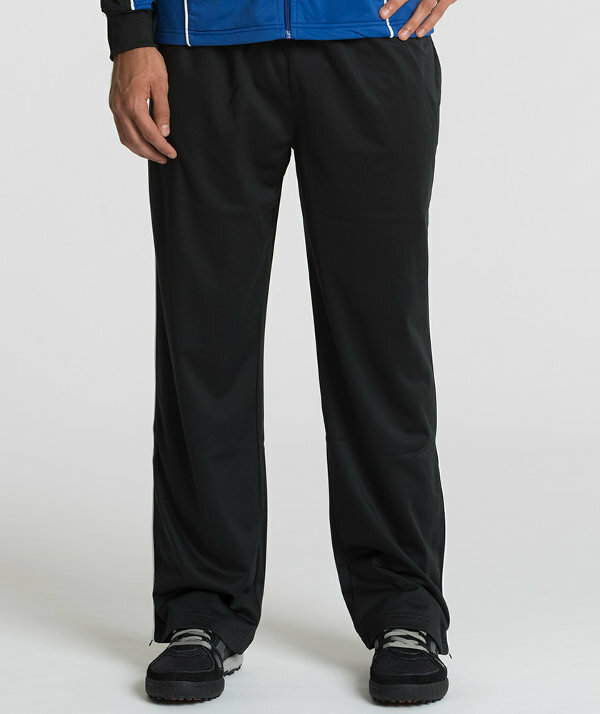 Complete your outfit with this pair of polyester athletic pants from Charles River Apparel. Designed to match the Men’s Rev Jacket (Style 9763), these pants work well as warmup pants for sports and other activities. They’re also great for casual environments in general. These athletic pants come in men’s sizes Small through 3XL, and can be purchase in your choice of black or navy.